At SumTotal LMS, we understand that reporting is a crucial part of your learning management system (LMS), which is why we are committed to making certain you can quickly and easily access the high-quality, meaningful reports you need. To do this, changes have been made to Advanced Reporting that have not only made it, even more, user-friendly, but also give you the chance to create and export a wide array of reports. Here’s a quick look at the various reports we develop. 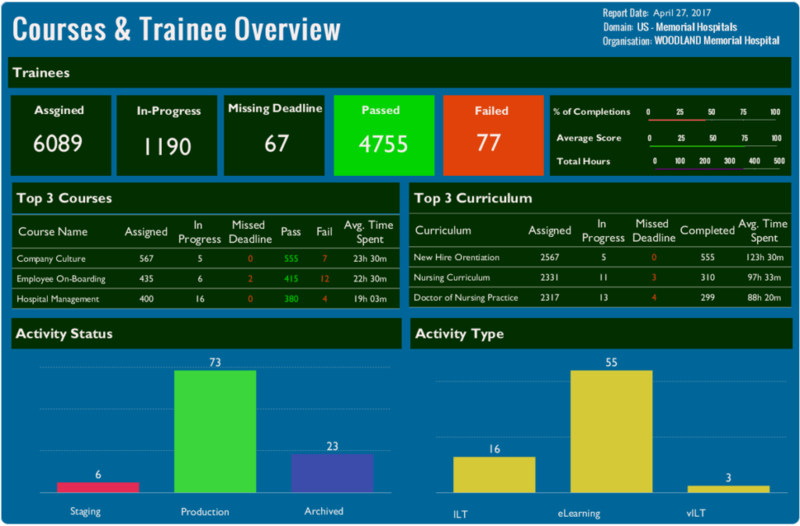 Our new Overview dashboard is designed to give you a quick look at the current status of everything from how many trainees have completed a course and passed or failed to total training hours, percent of completion and the average time trainees spent on a course. 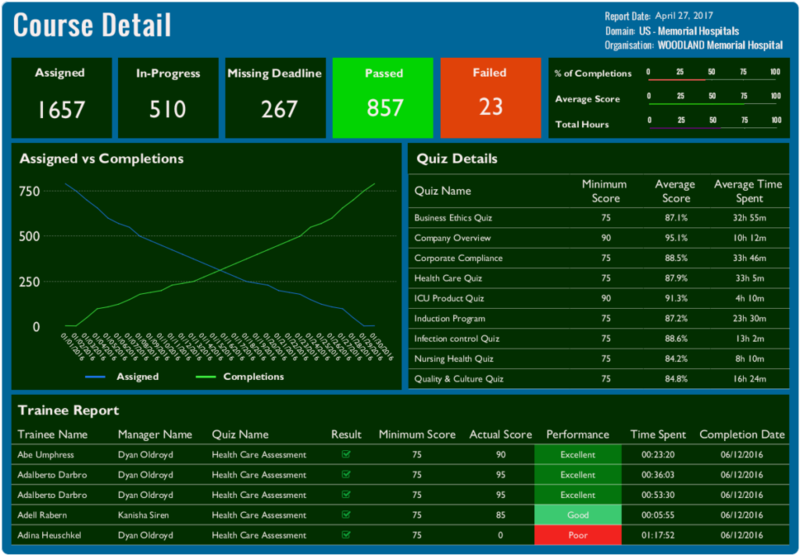 Similar to a command center, the dashboard provides a complete picture of attendance, usage, completions and achievements vs. failures. The Course Detail page allows you to focus on a certain course. Again, you’ll get a look at how many (and the percent of) trainees that have completed the course, as well as the average length of time trainees spent on the course material. You can also see how each individual trainee did on the quiz, when they took the course, their actual score vs. the minimum score, and a performance grade of excellent, good, or poor. The Training Detail page gives you access to each individual trainee’s history, including the courses they have taken, when they took it, how long it took them to complete the course, and how they scored on the quiz. With just this one page, you will be able to see whether or not a trainee is compliant with all their courses and if not, what else needs to be done. 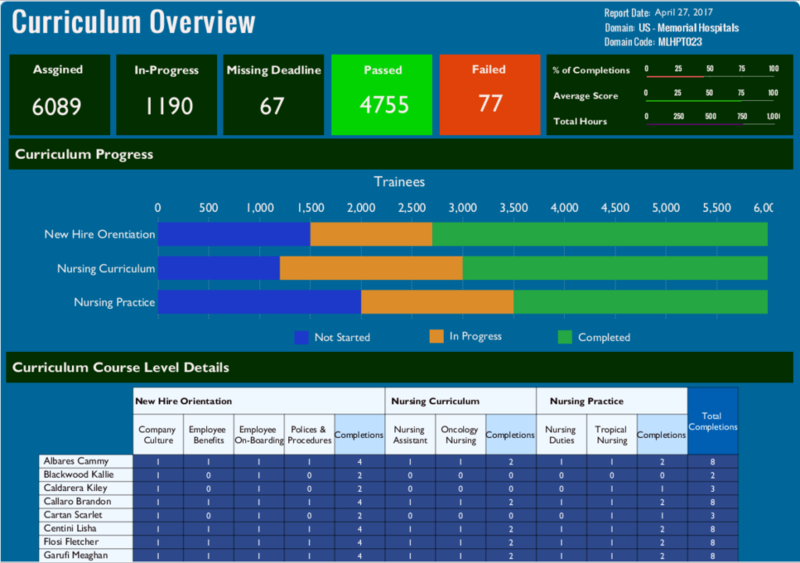 Our Curriculum Details page makes it easy to track a trainee’s progress through each aspect of their training, both individually and as a group. With one quick glance, you’ll be able to see who has completed a course, who is still working on it, and who hasn’t started. Thanks to SumTotal LMS’s improved reporting system, you will no longer struggle to find the information you are looking for, whether it is for a certain course or a specific trainee. 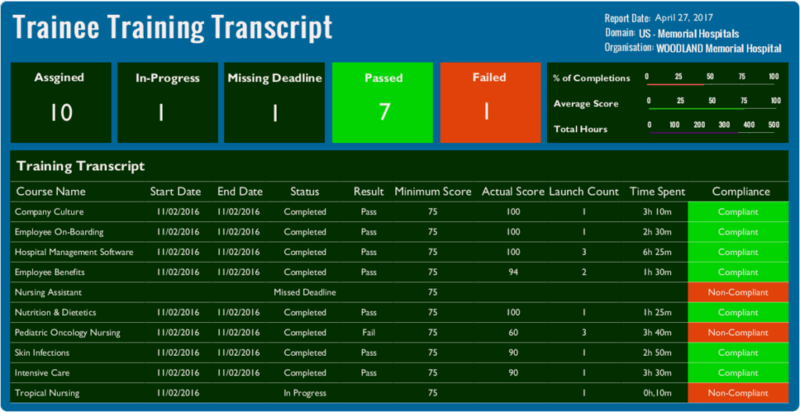 Above reports are built using Jaspersoft Studio. To see live reports on Jaspersoft Server please request a demo. To find out more on how Earthly Systems can help you create meaningful reports to your needs, contact us at info@earthlysystems.com.